Following contributions by DJ Deep (KERN 001CD) and DJ Hell (KERN 002CD), Tresor Records present the third installment in their Kern mix-series, this time headed by Berlin based producer Objekt, his first release since his debut album Flatland for PAN (PAN 060CD/LP, 2014). In keeping with the series mission of showcasing a more personal approach to mixing, TJ Hertz describes his process as such: "Kern Vol. 3 is made up of tracks that I know I will play and love for years to come. Some of these records have been in my bag for years; others are almost as new to me as they are to you. A handful are by lesser known artists whom I admire and who I think deserve wider recognition. Planned, recorded, embellished, reworked, tweaked and chiseled away at over a period of six months, the mix was gradually carved out in a way that makes use of new and old techniques alike, presenting itself primarily as a DJ mix but settling in a sweet spot between live recording and studio trickery. The track-list spans styles, decades and BPMs in an attempt to craft a mix that's unpredictable and compelling in equal measure - one that draws from the more adventurous corners of my club sets, but above all, one that's a pleasure to listen to." Clocking in at 75 minutes across 36 tracks, Kern Vol. 3 delivers on Objekt's promise, stitching together everything from the playful breakbeats of Beatrice Dillon's "Halfway" to Kirk DiGiorgio's classic techno "Nebula Variation" and the light-speed IDM of Aleksi Perälä and Ueno Masaaki without missing a beat. A descent through ambient bliss, thundering cello drones and vocal contortions (courtesy of Anna Caragnano, Yair Elazar Glotman and Senyawa's Rully Shabara respectively) give way to the stoned haze of Sensational vs DJ Sotofett and metalwork of Machine Woman and Skarn, rounding up a highly eclectic and adventurous mix which also includes previously unreleased tracks by Bristol's Shanti Celeste, rising Brooklyn producer Via App and accomplished electro technicians Clatterbox and Polzer. Also features: _moonraker, Seldom Seen, Final Cut, Mono Junk, nsi., Echo 106, Future/Past (Kirk DiGiorgio), The Persuader, Birdland, Pollon, Fret, Donato Dozzy, TX81Z, Thomas Heckmann, Sole Tech, Dave Smolen, Nick Forte, Bee Mask, Marcus Schmickler, Julian Rohrhuber, Ondo Fudd, ACI_EDITS, Dresvn, Anokie, Ruff Cherry and Space Brothers. The Exclusives comes packed with previously-unreleased tracks, specially crafted for Kern Vol. 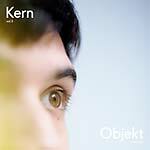 3 (KERN 003CD) and carefully selected and re-edited by Objekt. Features tracks from: Clatterbox, Shanti Celeste, Polzer and Via App. 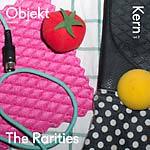 The Rarities features four rare tracks on Objeckt's Kern Vol. 3 (KERN 003CD). Features tracks from Pollon, Fret, Future/Past and Mono Junk. Double LP version pressed on 140 gram vinyl. PAN is excited to announce the release of Objekt's debut album, Flatland. Written between 2012 and 2014, Flatland follows up a succession of dynamic single releases from his base in Berlin, including the recent split 12" with Dopplereffekt on Leisure System, Cactus/Porcupine on Hessle Audio and three 12" singles on his eponymous white label series. His recorded work so far has toyed with techno and electro conventions and has turned dancefloor tropes on their head, tickling the boundaries of what can or can't constitute an effective club record. 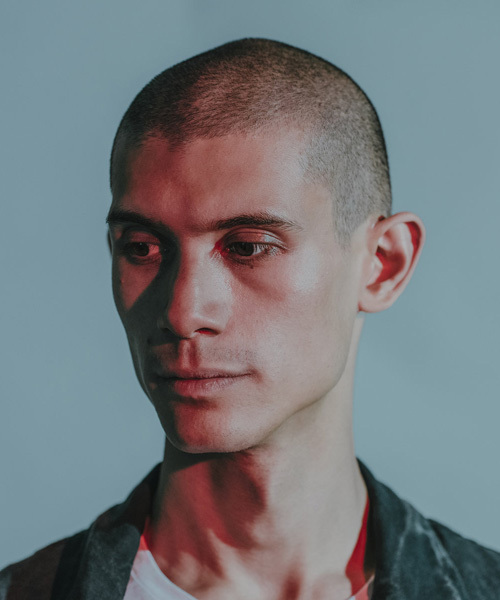 Approaching the album format on its own terms, Objekt makes full use of the larger canvas to explore a framework of competing truths, multiple perspectives and conflicting accounts. Flatland imagines a world in which any scene can be seen from every angle at once. Semblances and cross-references entwine the 11 original tracks and Objekt's existing recordings, shaping a powerful and absorbing album that weaves between the alien and the hauntingly familiar. This is an effervescent body of work, its sound design evoking vivid imagery and conveying the same unmistakable sense of detail and movement for which Objekt has become known. 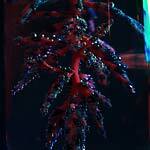 On his first attempt, Objekt has constructed a mature and multilayered album with its own story to tell, from whichever angle you choose to approach it. Mastered and cut by Matt Colton at Alchemy. by Joe Dilworth and artwork by Bill Kouligas & Kathryn Politis.